The Dallas Divide area of the San Juans provide gorgeous scenery bursting with color and imposing mountains. 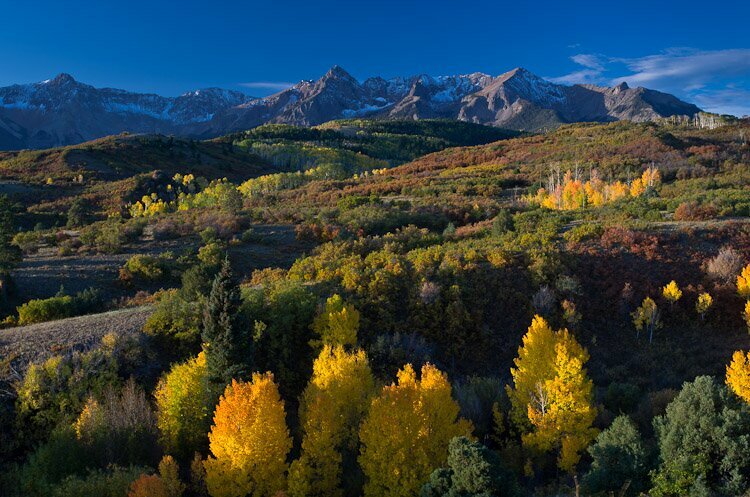 In early autumn, when the leaves begin to turn, photographers come from all over to capture the stunning landscape. One evening at Dallas Divide there must have been at least 25 photographers.